Remember when Doug Liman claimed Edge of Tomorrow 2 – now known simply as Live Die Repeat and Repeat – would re-write the sequel rulebook? Well, the writer-director has now shed some light on his approach to the sci-fi action sequel, and the ways in which it’ll be “smaller” than the first. While appearing on a recent episode of MTV’s Happy Sad Confused podcast (via Screen Rant), Liman was quizzed about the current state of Edge of Tomorrow 2, which is a continuation that looked to have been nudged toward the fringes of obscurity in light of its predecessor’s middling return – for all of the critical acclaim directed at Edge of Tomorrow, Doug Liman’s brainy thriller didn’t exactly set the box office alight in 2014, and only managed to score $370 million worldwide. I think what people tend to do with sequels is they just make them bigger. And I’m like, ‘No, a sequel should be smaller.’ You did the first film as sort of the ad campaign for the sequel, so now you don’t need as much action, and in the case of Edge of Tomorrow, people obviously loved the comedy and they loved the situation… So we can do way more focus on Tom’s character and Emily Blunt’s character, and there’s a third character in the sequel that’s gonna for sure steal the movie. We can focus on that. I don’t need an action sequence every two minutes. I see this as a two-movie franchise; there’s the completion of the story we set up in the first movie and the relationships between Tom Cruise and Emily Blunt—because, remember, at the end of the first movie, she doesn’t know who he is—and that’s gonna launch us into an amazing new direction. It does pick up right where we left off, but it doesn’t keep going forward, because we’d screw with time, because the aliens screwed with time. On your feet, maggot! 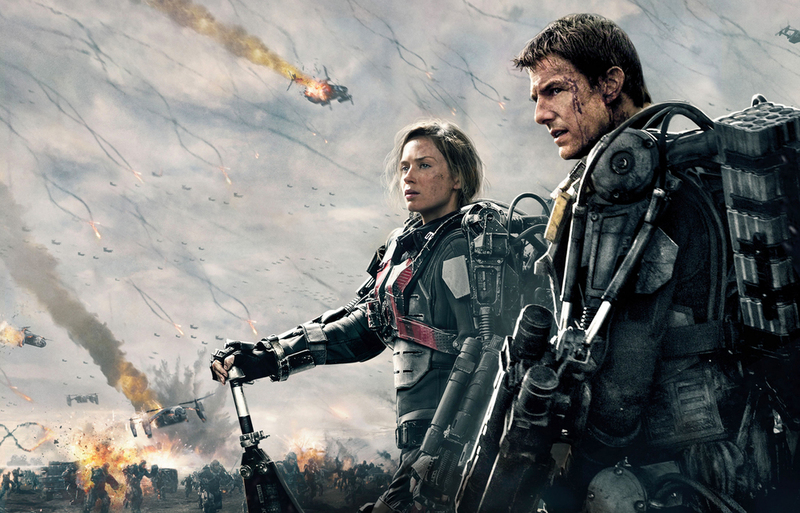 Despite a fairly mediocre box office return, Edge of Tomorrow is officially getting the sequel it deserves in the form of Live Die Repeat and Repeat. Both Tom Cruise and Emily Blunt are back on board, and we’re intrigued to find out who Warner Bros. will choose to cast as that aforementioned, and seemingly instrumental, third character.